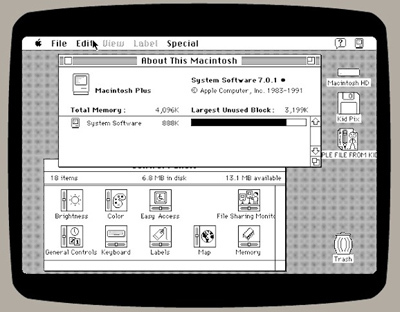 Ever wished you could go back to the good old days of the black & white Mac Plus, running ancient versions of Mac OS like System 7? Your dream can come true with the help of any web browser on just about any platform imaginable, be it OS X, iOS, Android, Windows, or Linux, and you’ll even get a whole bunch of classic Mac apps to play around with too. Depending on which instance you run you’ll get either either a Mac Plus with System 7 and the classic KidPix app, or you’ll get a Mac Plus with a whole variety of old school apps like BBEdit Lite, MacDraw, MacPaint, Microsoft Word, Excel, Works, Orion, PageMaker, ZTerm, Disk Copy, Disinfectant, TeachText, ResEdit (! ), StuffIt, Compact Pro, Risk, ShufflePuck Cafe, and Cannon Fodder. The classic Mac OS experience is complete, you can open folders, adjust control panels, create and save files, edit things with ResEdit, or play Shufflepuck Cafe. LG's 31-inch 31MU95 will feature a 4,096 x 2,160 IPS panel with a 19:10 ratio. For comparison's sake, most Ultra HDTVs and monitors like ASUS's first 4K model display 3,840 x 2,160 pixels at 16:9. The new offering conforms to the 4K format recorded by RED's Epic and Scarlet cameras and also packs a Thunderbolt 2 port with 20Gbps throughput. LG claims that'll let you monitor 4K footage and archive it up at the same time - ideal for on-set movie playback or post-production, for instance. LG will also offer 34-inch and 29-inch UM95 models with 3,440 x 1,440 resolution at 21:9, which will display 99-percent of the sRGB gamut and come with LG's True Color calibration software. There's no pricing on any of the new monitors yet, but Dell's recently launched 32-inch 4K Ultrasharp model is running $3,299, by way of reference. 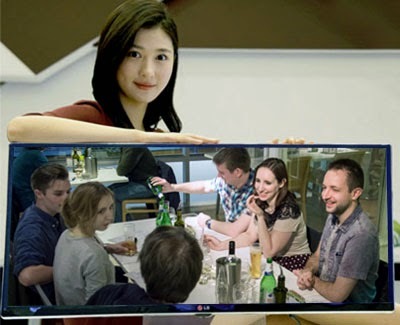 The high-res panels and other ultra-widescreen business models from LG will arrive at CES 2014 in January. The vessel is the brainchild of Logan Maxwell and Dean Verhoeven. Together, the pair founded a company – Joeveo – and launched a Kickstarter for their mug, which they call the "Temperfect." Maxwell tells io9 the Temperfect mug is engineered to bring scalding beverages to a hot-but-drinkable temperature and keep it there.The Temperfect is designed to bring coffee or tea (which are typically brewed at around 200 °F) to an ideal drinking temperature in about two minutes, and keep it there for hours on end. 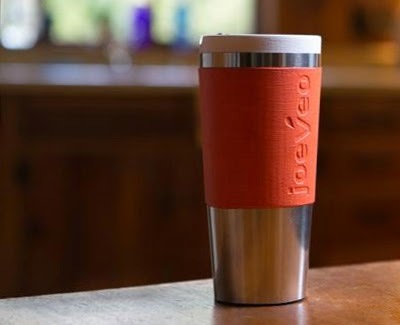 Your conventional insulated mug prevents heat loss by sandwiching a vacuum between two walls. The Temperfect works in a similar fashion, but adds a third wall to the mix. Like a regular thermos, the Temperfect has a vacuum between its outer and middle walls, but between its middle and inner walls is a non-toxic chemical that Maxwell calls "Material X". At room temperature, Material X is a solid, but pour a hot beverage into the mug and it quickly absorbs any excess heat, becoming a liquid while rapidly dropping the temperature of your brew. The excess heat is stored in Material X, and dissipates back into the coffee as it cools. The so-called "phase change" mug resembles similar prototypes first cooked up in the 1960s that never made it to market due to manufacturing hangups. Rocket Design has produced a helpful online colour tutorial that takes you through a number of logical stages to help choose an appropriate colour palette for your design project. 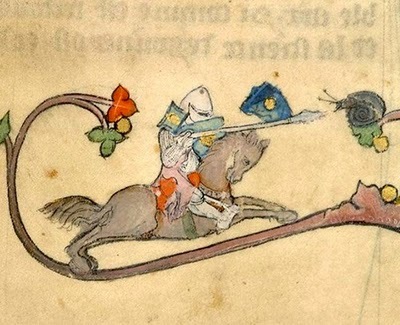 The British Library has released one million of images on Flickr under the most open Creative Commons license. Jason Kinsella and Charlotte Bakken have recreated a design classic with a modern twist. Kinsella and Bakken (both big fans of LEGO) recreated a scale model of the 1984 classic, Apple Macintosh. Then with a few simple adjustments to the design, they were able to incorporate the Apple iPad into the design. The result; a super cool looking place to dock the iPad, read the newspaper, or watch a film. 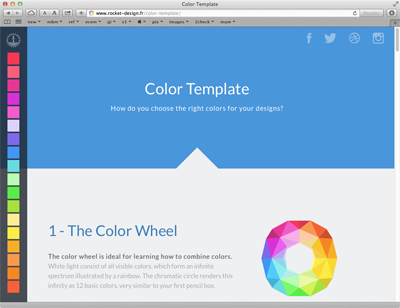 Google today announced that it is bringing Chrome Apps to the Mac, following a beta period that began in May. Chrome Apps are designed to function like native Mac apps, working offline, updating automatically, and syncing on any computer where a user is signed into Chrome. Chrome Apps, which are separate from Chrome browser apps, are downloaded into the applications folder and work like any other Mac app. 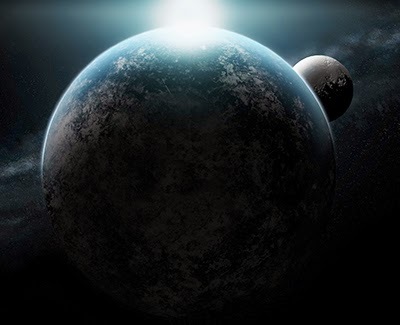 The apps have access to local storage for offline support, differentiating them from standard Chrome apps, and are able to easily sync content between multiple computers. 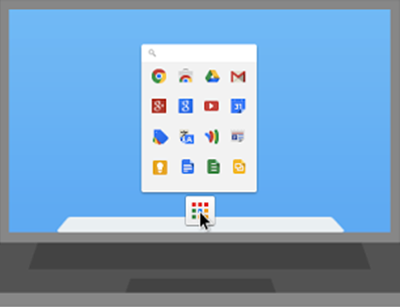 Chrome Apps for the Mac also work with Google's Chrome App Launcher, which will be automatically installed when any Chrome App is downloaded. The Chrome App Launcher aggregates all Chrome Apps into one convenient expandable grid on the Mac's dock. The Next Web has published a review of one of Seamless Toy Company's smart building block toys. "ATOMS are essentially a system of plug-and-play sensors, motors and logic blocks, aimed at children and adults alike. Different colours represent different functions – yellow bricks sense things (e.g. detect movement), red bricks ‘connect’ (e.g. power things), green bricks are all about ‘logic’ (e.g. they affect the outputs) and blue bricks are concerned with action – in other words they ‘do’ things." "We managed to get our hands on a Bunsen Set, which is a so-called ‘Scaredy Quark’ that can be afraid of light, and is also prone to being clumsy." "The Bunsen Set ships with a light sensor, control knob, battery, splitter, motor, and audio recorder. 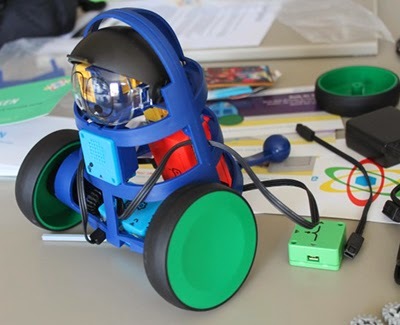 While it’s apparently aimed at those aged 6 years and over, based on our initial tinkerings we doubt anyone that young would be able to construct this without a lot of help from an adult or older sibling. That’s not to say it was difficult to build per se, it’s just that it does require paying a lot of attention to the instructions which aren’t always that clear to follow." "The ATOMS kit we used was great. The set in itself may not be essential, but it definitely helps you grasp what it is you’re actually doing. For example, the built-in voice recorder means you could record a ‘snoring’ noise which is activated when you pull the visor down over the bot’s eyes. Or you can hide it somewhere (e.g. a dark cupboard) and make it blurt out a noise (“Aaaaggghhhh”) when someone opens the door." "[ATOMS] have been designed so they can be placed in other kids toys (e.g dolls), sewn into clothing and attached to LEGO blocks. Take the Wave Wand Set, a kit that includes an exploding brick. So you potentially could bring a LEGO house to life by ‘blowing it up’ from the inside, triggered perhaps by the flash of a camera." 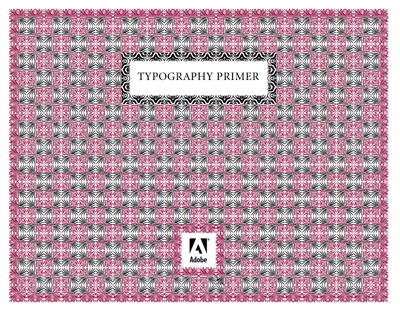 This 20 page primer was first published in 2000. 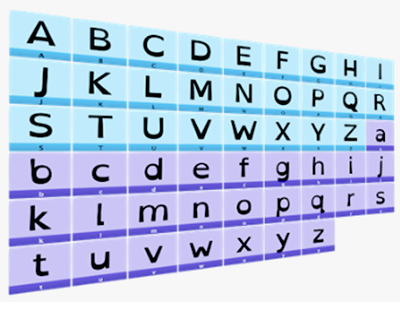 It talks about things like using the right character, choosing and using typefaces, combining typefaces in a publication, and loads of other interesting typographic tidbits. It’s something you might share with a co-worker who needs to know more about the mysterious world of x-heights and optical sizes. 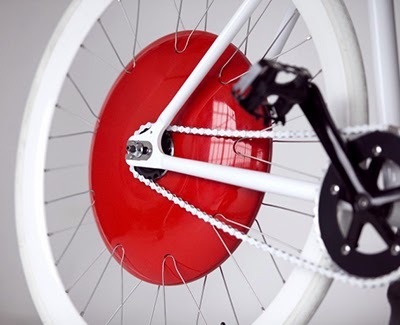 Back in 2009, MIT's SENSEable City team unveiled its Copenhagen Wheel prototype. It's a self-contained electrically-powered rear bicycle wheel that can be installed on any bike, instantly turning it into an e-bike. Today, it was announced that a commercial version of the Copenhagen Wheel is now available to consumers. The wheel's onboard electronics sense how hard the rider is pedalling, and trigger the motor to pitch in with its own assistance, as needed. This means that if the rider is going uphill, for instance, the motor will contribute more. If they're cruising along comfortably, on the other hand, it might not run at all. Exactly how much assistance it provides can be predetermined by the rider, using an app on their smartphone. That app also allows them to track their riding stats, including distance traveled, calories burned and elevation gain. Additionally, when the paired phone (and its user) move out of Bluetooth range of the parked bike, the wheel will automatically lock until the phone returns. It features either a 250-watt or 350-watt hub motor, a rechargeable lithium-ion battery, a range of approximately 30 miles and a top assisted speed of 20 mph. It weighs 5.5 kg, and is available in 26-inch, 27-inch and 700C sizes. Battery life is extended via a regenerative braking system. 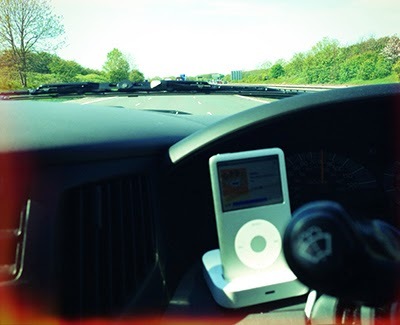 When recharging is required, the battery can be removed from the wheel. The Copenhagen Wheel is available now for pre-order, at a price of US$699. Shipping is expected to begin at the end of the first quarter of next year. In recent years, water-repelling materials have got better and better. 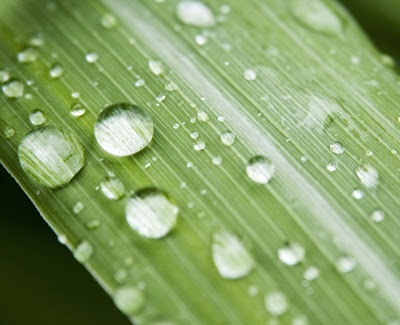 But even the best hydrophobic surfaces still take their time when repelling water. This becomes an issue when the surfaces you want to keep water-free operate in freezing conditions. If water is not repelled quickly, it can freeze and end up stuck there. Now Kripa Varanasi, of the Massachusetts Institute of Technology, has come up with a way of speeding up the process of repelling water. His approach involved creating a textured surface with tiny ridges (0.1 millimeters high). Previously, scientists thought that contact time was shortest if droplets spread and recoiled symmetrically on a material, but Varanasi's material shows that asymmetrical recoil works better. The time water spends on their surface is 37 percent less than the same material without ridges. The fact that their material is so good at its job made them look at other superhydrophobic materials. They found that both the nasturtium plant and the wings of the Morpho butterfly had similar ridges, and water droplets recoiled on them asymmetrically. The speed at which they did this was even better than lotus leaves, which are considered the "gold standard" of superhydrophobic materials. In an interview with Charlie Rose on Sunday's episode of "60 Minutes," Amazon founder and CEO Jeff Bezos revealed the giant online store is developing a drone-based delivery service called Prime Air. According to Bezos, Prime Air would be able to get customers their products only a half-hour after they click the "buy" button. His "optimistic" estimate to "60 Minutes" was that Prime Air will be available to customers within 4 to 5 years. Last minute shoppers or those with itchy mouse trigger fingers - especially with Cyber Monday tomorrow - may want to curb their enthusiasm for Prime Air. Amazon is still working on more safety testing and FAA approvals before the Prime Air fleet will be able take flight. 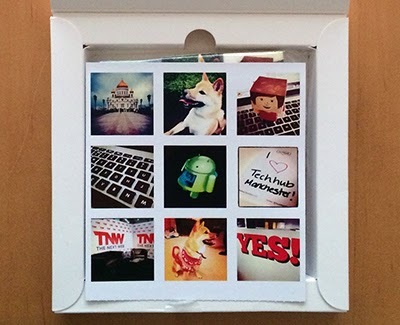 Boomf prints Instagram photos on vanilla-flavoured marshmallows and sends them to you in the mail. You connect your Instagram account to the Boomf website, select nine images, pay £12 and they’re sent to your UK address. As the Web app for ordering them connects to your Instagram account to access the photos, you won’t be able to use a friend’s photos on their own gift. Editor's Note: I ordered a pack. The process is painless, especially if you have a PayPal account. The package arrived a couple of days later. The presentation is good, and the printing perfectly acceptable. However, there is currently no facility for adding a personalised message, which I think is a major oversight. I Tweeted this to Boomf, and they replied with a reassuring "coming soon, my friend! ".